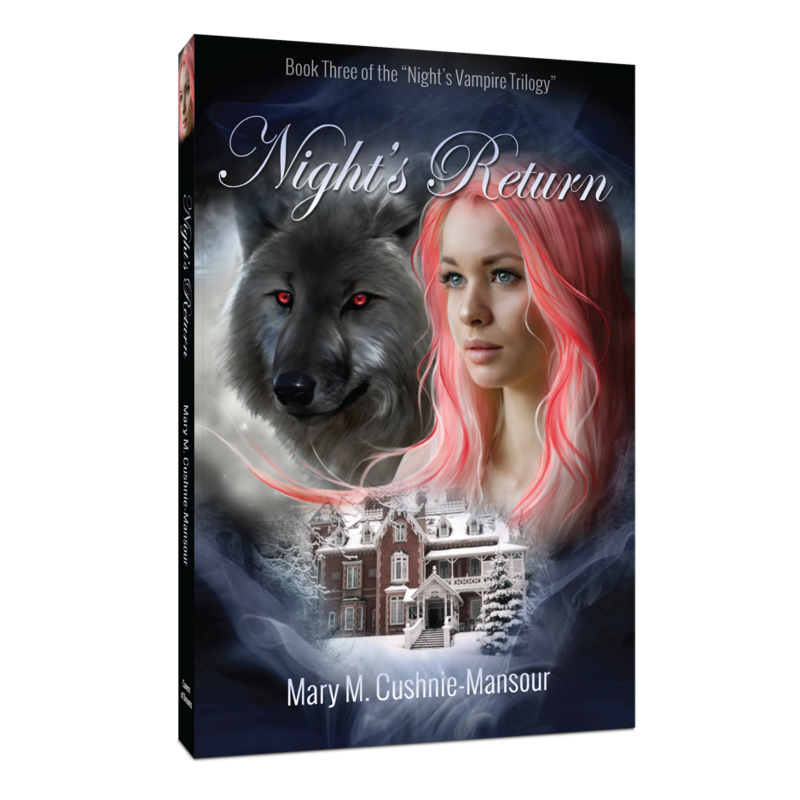 Night’s Retur­­n is the riveting conclusion of the Night’s Vampire Trilogy… With nowhere left to run, Virginia is praying for a saviour; however, the only one strong enough to save her and her children may be the very vampire she has been hiding from since she fled The House. The Count Basarab Musat has returned to Brantford from Brasov where he was fighting against the dark forces trying to usurp his throne. Basarab has learned these forces are being led by Radu, Dracula’s estranged brother, and that Radu is after his children, Santan and Samara. He is desperate to reach them first because if Radu was to get hold of the children, all would be lost, including humanity. 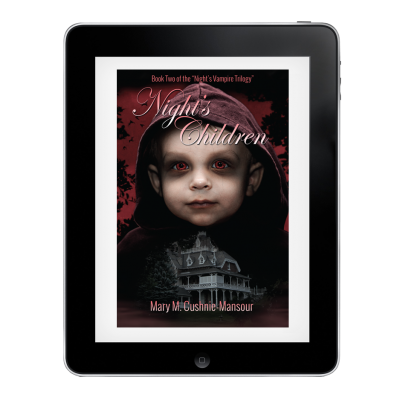 Virginia finds herself back in The House where her nightmare began. She and Basarab become embroiled in their previous game playing; however, this time they aren’t the only players. Forces from all sides are fighting to keep them apart––Teresa, Basarab’s wife; Ildiko, his cousin; and Randy, the young man who is hopelessly in love with Virginia. Will love for their children, and possibly each other, be enough to bring Basarab and Virginia together at last? Highly addictive trilogy! Love the characters and hope it gets made into a movie! 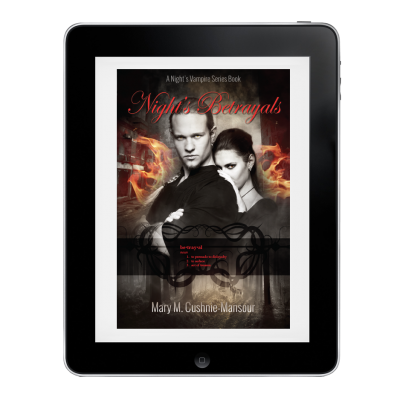 Night’s return is guaranteed to keep you up all night reading til the last page. A fast paced, suspenseful love story! A gripping ending to an amazing trilogy, but it leaves you wanting more! Well the time has come for the final adventure Nights Return are you ready for it ? This has been one of the best trilogies i have read yet Thank you Mary for for letting me meet some wonderful yet scary characters! 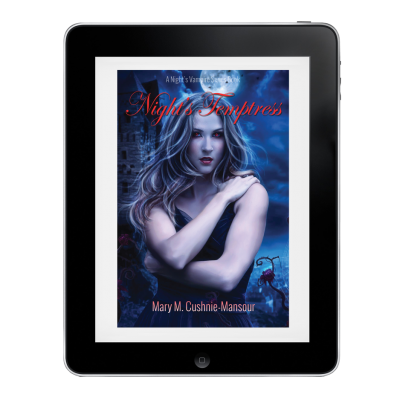 I must admit I was reluctant at first to delve into an unknown genre (vampires) but was pleasantly surprised. I couldn’t put your books down! I love the way you alternate the main characters’ points of view and draw us into their bizarre reality which seems so real. This trilogy is amazing! Not too often I get pulled into popular rage of the week ie: teenage sparkly vampire craze but this is far from sparkly. Its very believable and pulls one in to its story. Very hard to put down. Living in Brantford I thought it was quite neat that we could go see the actual house that was used. I didn’t rush through the last one knowing that book was the end, so I savored it over a few days. I can easily see a story on the lives of their children one day, that would be fantastic! But if its just to be the three books I’ll take that. 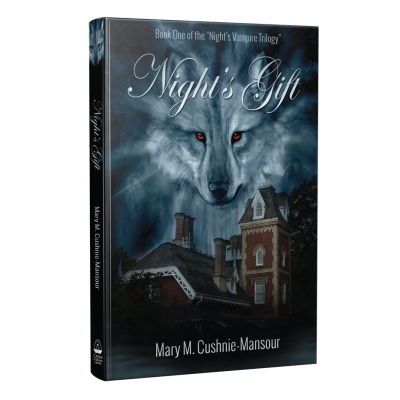 Thank you Mary M. Cushnie-Mansour for a great read. Looking forward to reading other story’s from you.